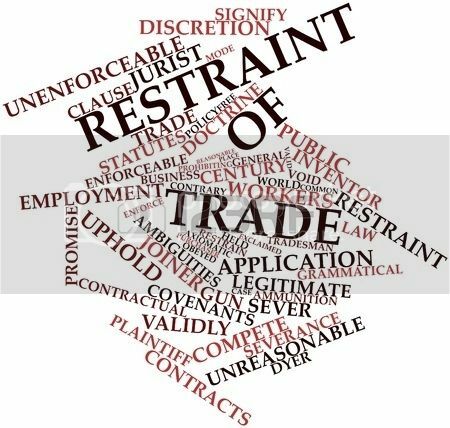 Restraint of trade was used throughout the 1700s as a means to enforce restrictions on the practice of businesses in order to protect intellectual property. To understand how restraint of trade came about, and some of the implications of this important legislation, one must take a trip through time to 1711. A baker from St. Andrew Holborn, named Reynolds, decided to rent his business out to another man named Mitchel for a length of five years. The two men agreed to a small bond, which would become void if Reynold continued baking in St. Andrew Holborn. Reynold, understanding the terms of the bond to mean that he could not practice his trade in St. Andrew Holborn, took his baking to another town and attempted to prosper. Mitchel, the man who had rented Reynold’s business, decided to sue on the grounds that the bond had been voided. The court ruled in favor of Mitchel, and here is why. Reynold had more to his name than just the brick and mortar store. His name, his reputation and the customers that came because of those qualities would presumably follow him to whichever town he chose to set up shop. Because the basis of the transaction was for Mitchel to rent a profitable business and build it up, moving to the next town over defeated his premise. The court decided this restraint of trade was useful, because Reynolds was the product. Not the business, even though the business was the basis for the transaction. What Mitchel rented was not so much the business, but Reynold refusing to participate in the market.